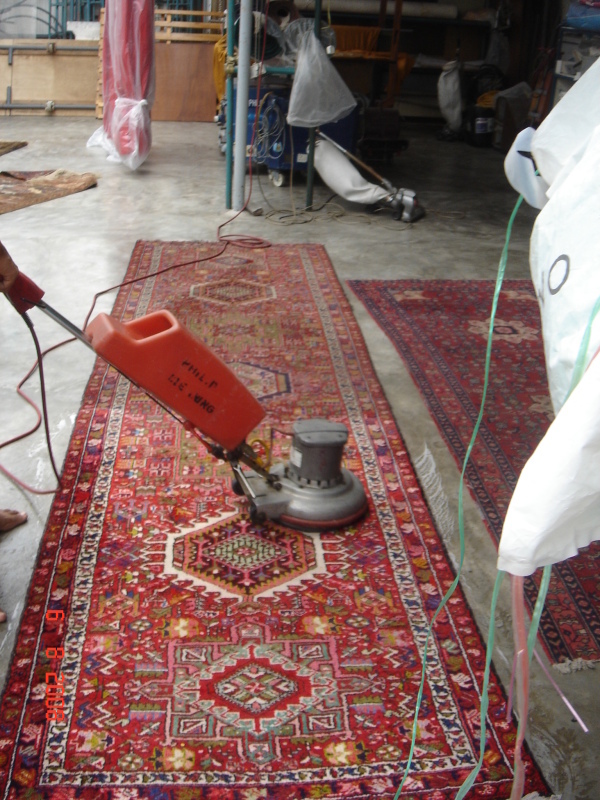 One of the oldest methods for cleaning rugs. 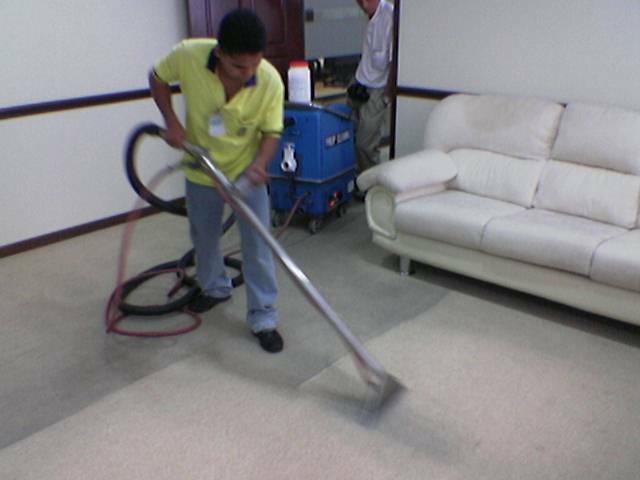 Excellent agitation produces good overall cleaning results. Utilizes a 175 rpm rotary floor machine equipped with a solution tank and shower feed brush. The rug is scrubbed with the machine while the shampoo is fed through the brush, suspending soils. 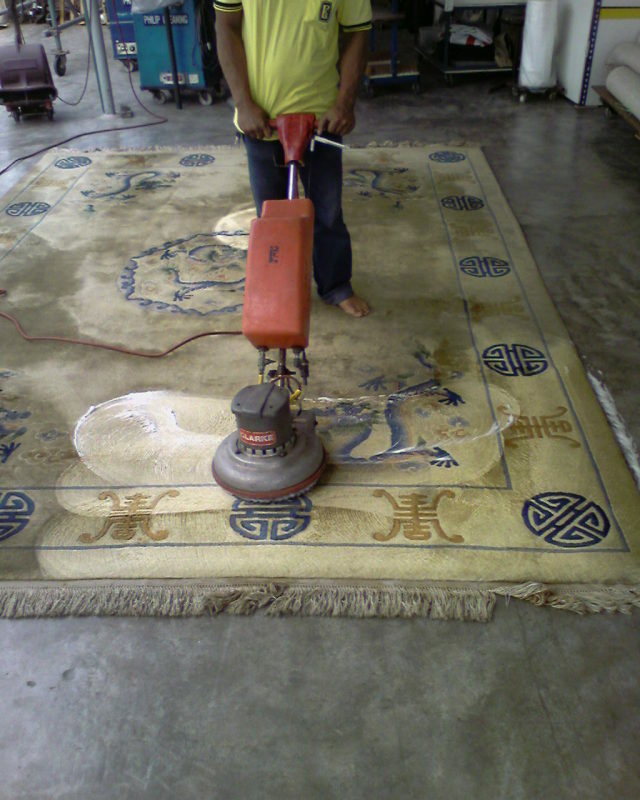 After shampooing, the rug is rinsed with HWE method. Green cleaning! 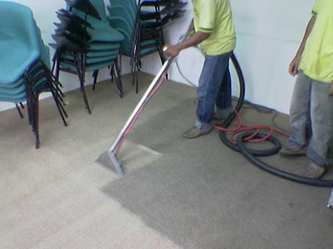 A quick, low moisture method to clean and disinfect without chemicals. Steam vapor works by using heat. Heat breaks the bond between soils and a surface. As a result, bacteria and germs are killed while soil, grease and oil are emulsified and removed.